CWL started the year on a high note following their Motto of Charity Work and Loyalty. 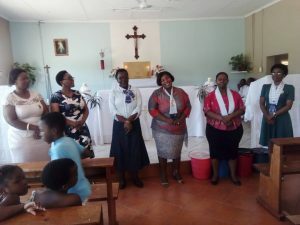 On the 6th of January, 2019 CWL joined the Sisters at St Juliana on the Sunday of the Epiphany of The Lord, and the celebration of the Golden Jubilee for Sister Mamba celebrating fifty years as a dedicated servant of the Lord and Sister Alexia who was celebrating her Silver Jubilee twenty five years, of her selfless life and commitment to the Lord. This day was indeed a memorable day, and CWL members came in their numbers. 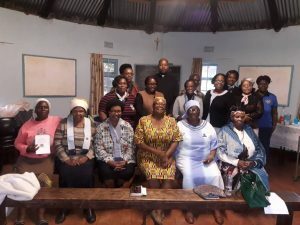 On the Feast of the baptism of the Lord, on the 13th of January, CWL Executive visited St Peregrine’s in Bulandzeni to rekindle the light with CWL ladies. The members were given an opportunity to present their challenges, achievements and the proposed way forward. 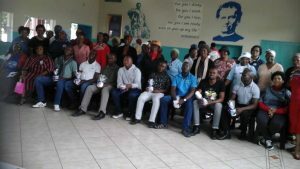 The members were encouraged and uplifted by the visit and looked forward to the visitation by the entire CWL group. One member showed interest of joining the Sodality. The visit was a blessing. 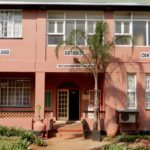 CWL held it’s annual event of Spoiling the Priests and Farewell to the Seminarians as they return to their Institutions to pursue their studies, on the 19th January 2019. Eight Seminarians and one Deacon were present together with two Salesian Priests. CWL shared some words of encouragement and wisdom to the seminarians. Gifts were presented and refreshments were served. It was a beautiful send of for the seminarians and a great appreciation to our Priests. 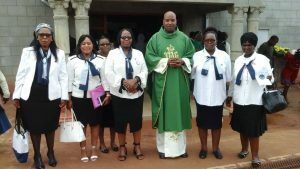 A glorious pinning ceremony was held on Sunday the 27th at St Mary’s wherein four new members we Pinned as members of the Catholic Women’s League. A retreat was held on Saturday the 26th in preparation for the Pinning. The presenters were Babe Malindzisa who presented on the Importance of Offering in the Church and Fr Mswane who spoke on The works of the Church. Both speakers were breathtaking, bomake were left yearning for more. 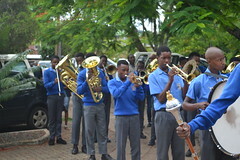 The pinning Mass held by Fr Mswane was fulfilling, lovely full of warmth and the choir was amazing.